Home Tech Gadgets What is Mixed Reality and How it Differs from AR and VR? What is Mixed Reality and How it Differs from AR and VR? Virtual and Augmented Reality have been in the spotlight for a while now, but there’s a new kid on the block that’s been getting a lot of attention recently from industry insiders, market analysts and tech enthusiasts alike. Called Mixed Reality, the ‘new’ technology that’s threatening to upend the gaming industry isn’t really new at all, having been defined back in the early nineties by University of Toronto Professor Paul Milgram and Artificial Intelligence (AI) researcher Fumio Kishino as lying anywhere within the extremities of the ‘virtuality continuum’. 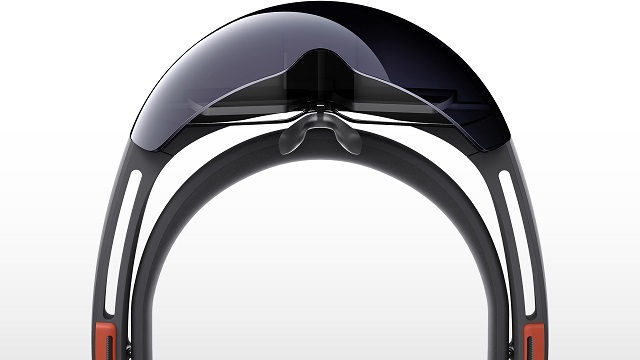 That being said, it is only now that the technology has matured enough for tech companies to contemplate bringing MR devices to the market, with Microsoft taking an early lead with its HoloLens headset, but more on that later. Before we try to get to the exact differences between Virtual, Augmented and Mixed Reality, it is important to understand that the three are actually interconnected, and not nearly as different as some stakeholders with vested interests would have us believe. Many respected researchers and engineers have long been skeptical about the marketing departments of tech companies describing MR and AR as different technologies, and not without reason. In fact, even VR isn’t exactly a completely different beast when looked at in the larger context, but there are still a few key differences between the three that need to be pointed out for a better understanding of these emerging technologies. 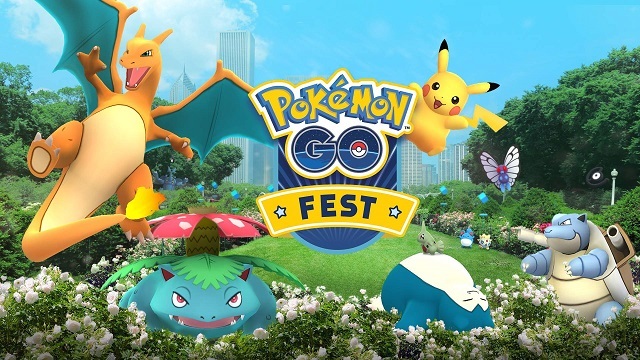 While Virtual Reality (VR) is the most well-known of the three, Augmented Reality (AR) became all the rage last year with the launch of Niantic Labs’ Pokémon GO. So how are VR, AR and MR different from one another? While VR deals only with the virtual world, AR is actually an amalgamation of the real and the virtual. As its name suggests, AR is the augmentation, or enhancement of the real world with the addition of digital elements, something that any dedicated Pokémon GO player knows only too well about. While both VR and AR have been in the public sphere for a while, Mixed Reality (MR) is a relatively-new term that has entered the consumer technology lexicon only recently, and is being pushed heavily by the Redmond, Washington-based software giant, Microsoft. To put it simply, Mixed Reality (also known as Hybrid Reality) is the combination of real and virtual environments to create new visualizations where real-life objects and people coexist and interact with devices, creatures and landscapes in the digital world. Unlike Virtual Reality, Mixed Reality allows users to seamlessly navigate through both the virtual and the real worlds at the same time. Virtual elements are superimposed onto the real-world environment, making interactions with these objects or creatures seem real. If you think that sounds way too similar to Augmented Reality, you aren’t entirely wrong, but there are a few subtle differences between the two technologies that we’ll delve into later. Virtual Reality has long been promoted as the next big thing in consumer tech, but it has so far failed to capture the imagination of mainstream consumers the way smartphones have over the past decade. VR, however, has found many a taker within the tech community, with giant multinationals like Facebook, Sony and HTC already heavily invested in the new technology with devices like the Oculus Rift, PlayStation VR and HTC Vive respectively. 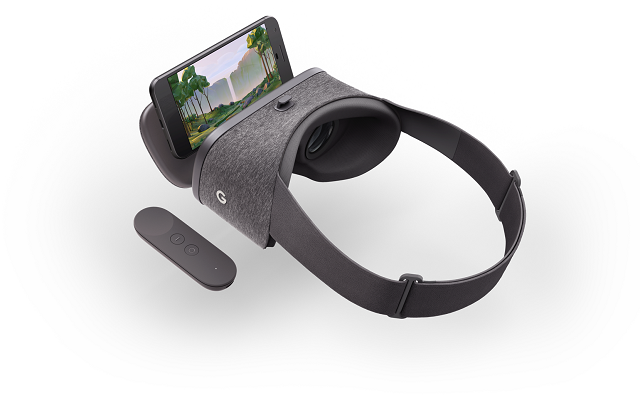 Even Google’s Daydream VR platform has seen an uptick in recent times, and we’re expecting more OEMs to support the platform in the days to come. So what exactly is Virtual Reality and how is it different from its two spiritual cousins – AR and MR? Virtual Reality is a technology that uses computer-generated imagery to create a realistic virtual environment, which can be experienced and interacted with by people in the real world in a way that makes them feel they are actually a part of the virtual setup. Typically, you’ll need specialized equipment to experience virtual reality, and once you get the recommended setup, you’ll be able to look around the software-generated artificial world, move about in it and interact with the virtual elements as if you’re actually a part of the virtual world yourself. So now that we have a better understanding of virtual reality, let’s take a look at how it differs from Mixed Reality. Unlike a VR environment that is almost entirely artificial, MR actually includes real-life objects mixed with virtual elements. So while both VR and MR make the user believe that they are interacting with computer-generated elements in the real-world, at least a part of Mixed Reality is actually ‘real’, while Virtual Reality has very little connection to reality. While the difference between Virtual Reality and Mixed Reality is pretty clear-cut, the difference between Augmented Reality and Mixed Reality is relatively more ambiguous. In fact, to be perfectly honest, they are not even entirely different technologies in the strictest sense of the term. To explain the difference between Augmented and Mixed Reality, we should take a closer look at how MR was defined by Milgram and Kishino all those years ago. According to them, MR lies “anywhere between the extrema of the Virtuality Continuum”. While that sounds like a lot of unnecessary tech-jargon at first glance, virtuality continuum is really a concept that describes the continuous scale ranging between the completely virtual (as in Virtual Reality) to the completely real (as in real life). In essence, what it really means is that Mixed Reality encompasses everything from Augmented Reality to Augmented Virtuality, which are at the two extremities of the technology. In theory, both are actually subsets of Mixed Reality, insofar as both these technologies juxtapose the real and the virtual worlds with one another. Where they do differ, however, is where they lie on the aforementioned virtuality continuum scale. As its name suggests, Augmented Reality is at one end of the Mixed Reality spectrum and includes more of ‘reality’ than ‘virtuality’, whereas ‘Augmented Virtuality’ is basically the virtual world that’s been ‘augmented’, or enhanced, by the addition of a few real-world objects. Having said that, different companies are using the term Mixed Reality to mean slightly different things and as things stand now, a standard definition is hard to come by. Like its more well-known counterparts, Mixed Reality is also expected to be pitched as a gaming platform in its early days. However, it would be a mistake to dismiss MR as just a gaming platform, because the technology has already been incorporated into different applications in a wide variety of industries, including, but not limited to, arts, entertainment, manufacturing, healthcare, aviation and education. Mixed Reality is also being tested by the military establishments of various nations for combat training, so it’s safe to say that there are enough possible use cases for the technology. As mentioned earlier, Microsoft is taking the lead in bringing Mixed Reality to the fore. The company has already demoed a NASA simulation of walking on the surface of Mars with the help of its HoloLens Head Mounted Display (HMD), which is based on its own MR platform, Windows Mixed Reality, that’s part of the Windows 10 Fall Creators Update. In case you’re wondering about the pricing, the HoloLens Development Edition started shipping last year for $3,000 apiece. There’s also a Commercial Suite with enterprise features, such as Bitlocker Security, and that one sells for $5,000. 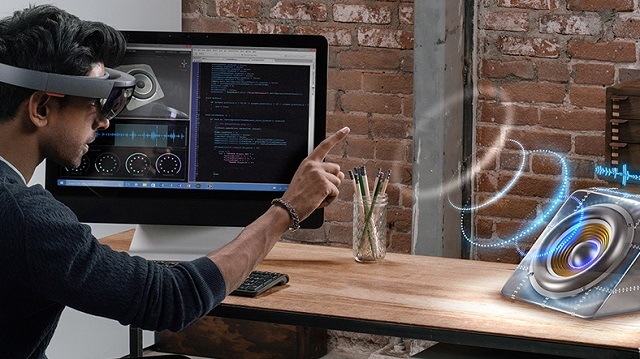 If you want to take Mixed Reality for a spin but feel that the HoloLens is way out of your league because of those exorbitant price-tags, you’ll be pleased to know that a plethora of reputable tech companies from around the world are working on bringing their own MR devices based on the Windows Mixed Reality platform, at considerably more faffordable prices than what’s being charged by Microsoft. Asus, Dell, Acer, HP and Lenovo are just some of the big names that are working on bringing their own MR headsets to the market in the months ahead. While not all these companies have announced the pricing of their upcoming headsets, Acer and HP’s offerings are priced at $299 and $329 respectively. 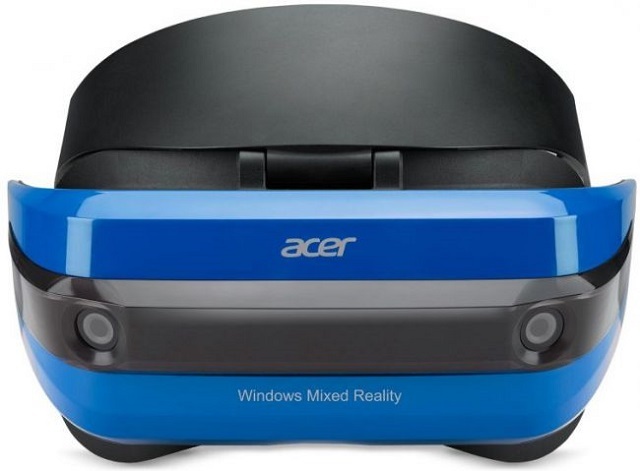 It’s difficult to say at this stage whether Microsoft is subsidizing the cost for Acer and HP to popularize its MR platform, but at these prices, the two devices are significantly more affordable than the VR headsets from Oculus, Sony and HTC. However, if even $300 seems a bit on the higher side, a startup called Zapper has you covered. 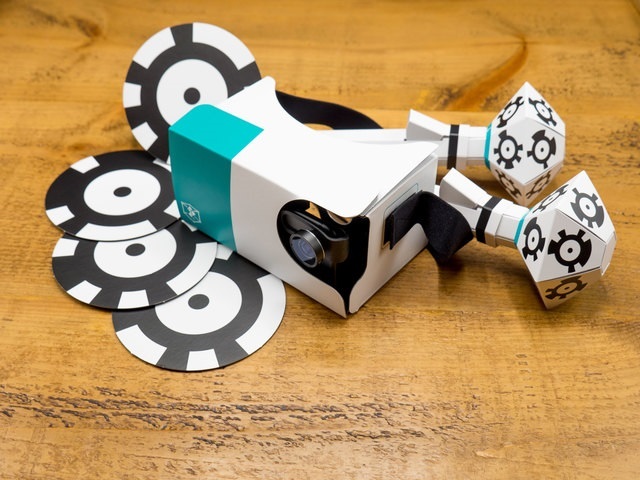 The company, last year, launched what’s believed to be the world’s first cardboard MR headset called ZapBox, which comes with cardboard controllers and a special wide-angle camera lens. The device was originally launched on Kickstarter where it raised over $84,000, and is currently available for pre-order on the company’s own website for just $30. There’s no word on when you’ll get your ZapBox if you pre-order now, but the developer editions of Acer and HP’s devices are expected to start shipping next month. The final consumer units, however, will apparently only become available for purchase at the end of the year. Even as Microsoft is taking the lead in promoting Mixed Reality, it is certainly not the only company burning the midnight oil on the technology. A Florida-based startup called Magic Leap is also reportedly working on a head-mounted virtual retinal display that has been kept under the wraps until now, but is rumored to be made official at some stage going forward. While it’s difficult to say anything for certain about Magic Leap’s upcoming product(s) in the absence of any concrete information, the company must be doing something right, given that they’ve raised over $540 million in venture capital from the likes of Google, Qualcomm and Kleiner Perkins Caufield & Byers. 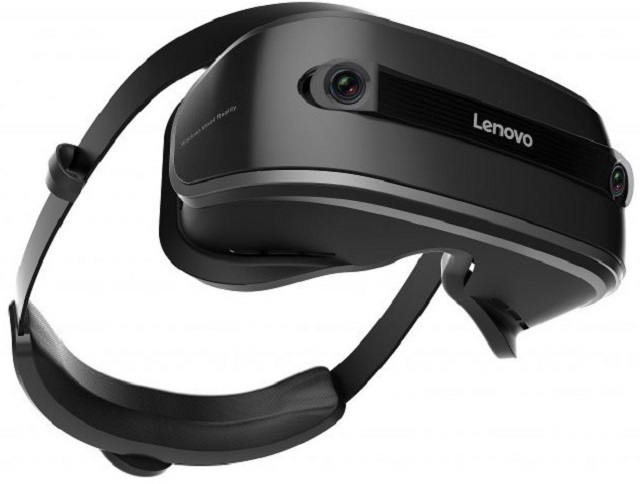 As mentioned earlier, mainstream MR headsets are expected to be considerably more affordable than the VR offerings currently in the market, but another area where the upcoming technology is expected to trump the established VR players is in the PC hardware department. While you need the PlayStation 4 to use the PlayStation VR, the HTC Vive and the Oculus Rift both require expensive, high-end PC components to run flawlessly. Thankfully, though, it looks like you’ll be able to run your Windows MR devices without burning a hole in your pocket. That’s because Microsoft has officially announced that the Windows Mixed Reality headsets will be able to make do with relatively more modest hardware, including an Intel Core i5 CPU and a DX12-compatible GPU, including the Intel HD Graphics 620, which is an integrated graphics processor found in the 7th generation Intel Core (Kaby Lake) laptop CPUs. Other requirements include 8GB RAM, a 100GB SSD and support for Bluetooth 4.0 or above. Your PC will also need an HDMI 1.4/2.0 port or a DisplayPort 1.3, so that you can hook it up to your MR headset. While the specifications above will be enough for end-consumers to run their Windows MR headsets, Developers will apparently require much beefier PCs. According to Microsoft, developers will need at least a hexa-core Intel Core i7 CPU or an AMD Ryzen 7 1700 with 8 physical cores and 16 threads. 16GB of RAM, 10GB of storage, Bluetooth 4.0 (or higher) and one USB 3.0 port will also be needed by developers to work with their Windows MR headsets. As far as GPUs are concerned, developers will need either an Nvidia GeForce GTX 980, a GTX 1060 or an AMD Radeon RX 480 with 8GB of RAM. As its name indicates, Mixed Reality promises to bring the best of Virtual and Augmented Reality by combining motion-sensors, advanced optics and cutting-edge software. If it can deliver even a fraction of what it’s promising, it will open up a whole new world of possibilities by bringing apps, games and interactions that we’re yet to experience until now. It may be late to the party, but with prices expected to be at relatively more affordable levels than VR devices, Mixed Reality may very well cross over to the mainstream one day, but for that, we’ll have to wait some more to see if the technology can actually provide something that can transcend the gaming niche and appeal to a broader audience. So, that was all when it comes to Mixed Reality but if you have any questions or thoughts, do let us know in the comments section below. We love hearing from you.